Back Up your notes especially before updating this app. Use iTunes app share. Go to Awesome Note website and get the directions, or ask for help from support. If you go into the app, look in the settings and you will find the help section. Do your research and help yourself. It's very important. And for all of those who have switched from Day One to Awesome Note 2. Back up your Awesome Note 2 notes. You will not be sorry. You can back up your notes right inside the app, and transfer the backup to your computer. That is a must do in case something happens to the app. Read their website, it will inform you of many important things. I have the old Day One and so far have not updated to the new app with their subscription. I love Awesome Note 2 and will stick with it until the end of time. The customer service may be difficult at times, but I have had responses from the developers when/if I had problems. There is a 1:1 that is, a One-on-One feature in the app where you can write to the developer with feedback or if you have a problem. It's a great app. I just wish that Day One would switch back to iCloud. Awesome Note 2 still has it. Thanks so much Awesome Note 2. I got the first free version when it first came out. I have used it to keep so many things organized and at hand. I keep track of my handmade items and processes, who they went to as well. I also enjoy keeping hard copy journals and notes, and I make a digital version on Awesome Notes, taking a picture of each page. (I’ve seen people lose their hard copies through fires and such!) this way it is on my Evernote’s site as well. 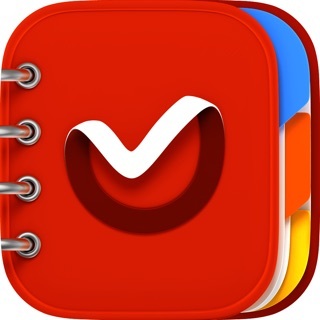 I used to use a quick journal app but they discontinued it and I was able to move those files into my awesome notes and download them into Awesome notes, and it added them into the correct dates without much tweaking. I like to add pictures of activities and visits in my daily calendar, and then I can take them out of my photo files freeing up space. I keep finding new ways to use my Awesome Notes. The more I use it the better I like it! Note: I also like the fact that I purchased the app and it is mine. If they would start charging a fee, I will stop using it and use my Evernote’s, because I cannot pay so many fees for each app and program I use. That would be sad. This is one of my main “go to” apps. I love the fact that I can make different folders, customize how they look, and keep track of all sorts of information. For instance, if I have an idea in June for a Christmas gift for Jennifer, I can put it into my “Jennifer” note in the gift ideas folder. Come Christmas, shopping lists are already done. Husband needs stitches and they want to know the last time he had a tetanus shot? Check the “Health” folder. Hear about a good book that you would like to read? Add it to the “Books to Buy“ list. My only complaint just popped up recently. On the home screen, there used to be a spot at the top of the page for the last four notes that were used. You could easily grab a note from there, rather than having to go to the folder, then search for the note or use the spotlight search. Once again, I can’t say how much I love this app!